An utterly enjoyable installation with remarkable performers, costumes, and set design. I hadn't been to the opera for years, so I was thrilled when my mother got me tickets to see the March 1 Paris Opera performance of "La Cenerentola" as a birthday present. First, a confession: I had agreed to meet my mother at the steps outside the opera - but when I got out at Opera metro station, the building I had been so sure was the opera turned out to be called the Academie Nationale de Musique. After a few seconds of deliberation I decided to take a chance and not call my mother to confirm (though she did think it was hilarious when I told her). 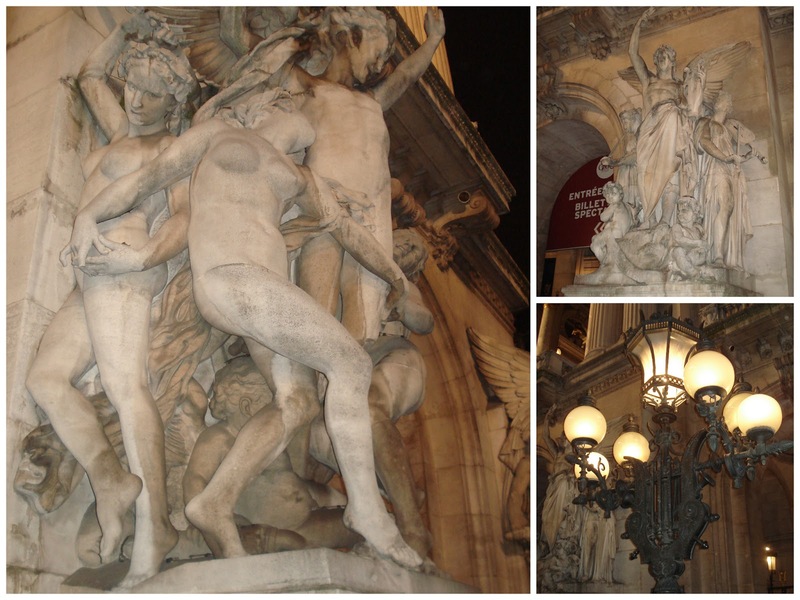 The building, Palais Garnier (of Phantom fame), dates back to the Second Empire. It's a bit worn in parts, but the Grand Staircase and Grand Foyer look suitably imposing. Inside the auditorium, it was incredibly crowded; even the fold-down aisle seats were filled. I was pleased to see the Chagall ceiling - though it seems somewhat incongruous, I really like Chagall and don't really mind it (and can't wait to visit the Chagall exhibit at Musee du Luxembourg). The performance itself was pretty gushworthy. The story is simple and familiar, though Cinderella (here named Angelina) has a neglectful stepfather rather than a cruel stepmother. The prince, while disguised as his own valet, falls in love with her before the ball, not just for her beauty but also for her kindness (which is a nice touch). She attends the ball with the help of Alidoro, the prince's tutor, while her sisters and stepfather expose themselves as the petty fools they are and earn the price's utter scorn. He later identifies Angelina as the girl from the ball on account of a diamond bracelet, not her slippers, and overall, there are no supernatural elements at play in getting Angelina out of her situation (though she still gets out more out of luck rather than by actively working to change her fate). It was clear that the performers were having a lot of fun with their parts. Especially the antagonists were hilarious in their roles without being hammy, and the the music is very enjoyable (if not all that memorable). I also liked that the male chorus was pretty diverse - not to mention the cute little Lhasa A who was featured in one shortish scene. Researching the cast makes it clear that there is definitely a niche for a well-organized online database for opera and ballet performers (and maybe classical musicians too)...seeing how packed the audience was, I must be far from the only person who'd be interested in reading more about their backgrounds and careers. Operabase is fine for a general overview, but it's very basic compared to IMDB. 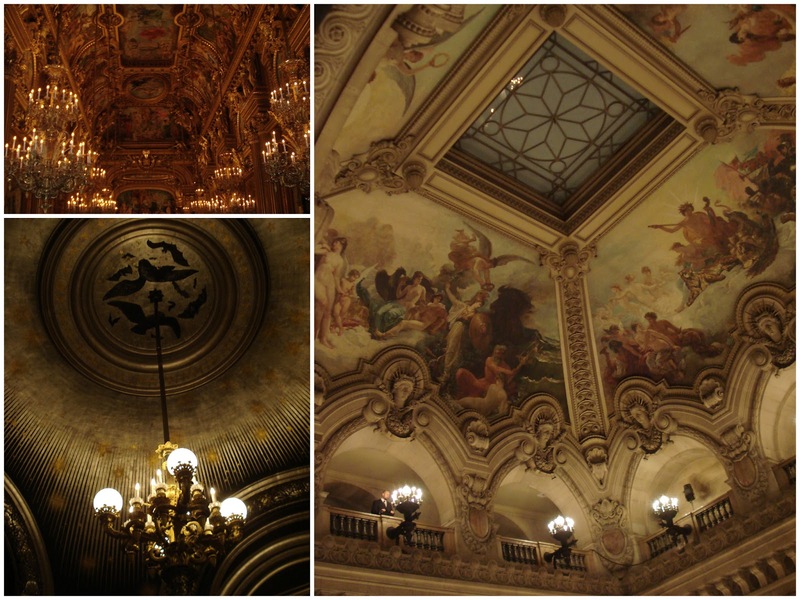 The last performance at Palais Garnier took place on March 25, and it will be interesting to see where they'll perform next.